CARFAX One-Owner. Clean CARFAX. Certified. 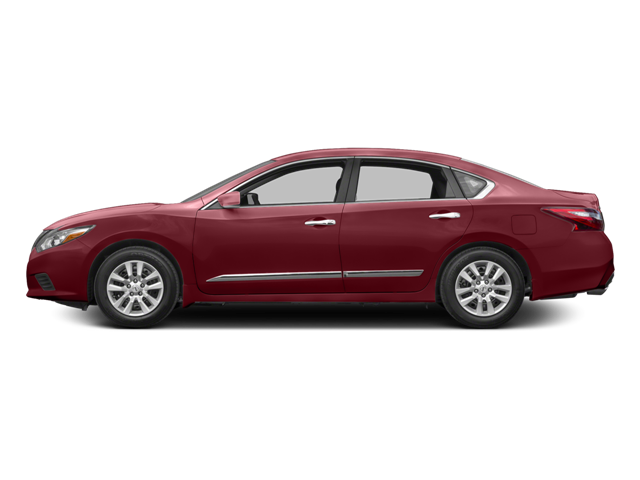 Cayenne Red 2016 Nissan Altima 2.5 SV FWD CVT with Xtronic 2.5L 4-Cylinder DOHC 16V ABS brakes, Auto-Dimming Rear-View Mirror, Cold Weather Package, Compass, Convenience Package, Electronic Stability Control, Front dual zone A/C, Heated Front Seats, Heated Outside Mirrors, Heated Steering Wheel, HomeLink Universal Transceiver, Illuminated entry, Low tire pressure warning, Manual Folding Outside Mirrors, Navigation Package, Navigation System, NissanConnect w/Navigation & Mobile Apps, One-Touch Auto Up/Down Passenger Power Window, Power Sliding Moonroof w/Tilt, Remote keyless entry, Side Cargo Net, SiriusXM Traffic & Travel Link, Traction control, Wheels: 17`` x 7.5`` Machined Aluminum Alloy. Hello, I would like more information about the 2016 Nissan Altima, stock# 18105A. Hello, I would like to see more pictures of the 2016 Nissan Altima, stock# 18105A.